RegenaFlex™ significantly increases the absorption and bioavailability of the Astaxanthin. RegenaFlex™ Delivers Key Components for Joint Repair. 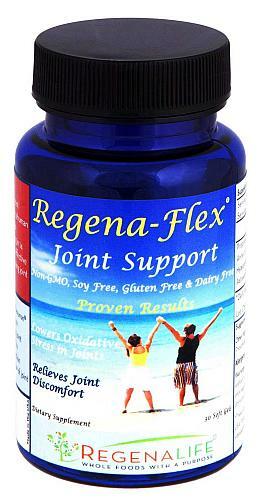 RegenaFlex™ Reduces Oxidative Stress in the Joints. Clinically Proven to Eliminate Joint Discomfort. Non-GMO, Soy Free, Gluten Free and Dairy Free. 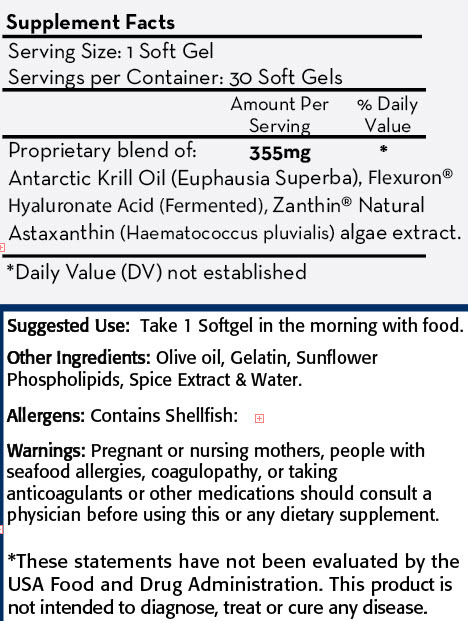 Regena-Flex™ Warning: If you are allergic to shellfish, have a blood coagulation disorder, or are taking anti-coagulants, do not supplement with RegenaFlex. Also, do not store RegenaFlex in the refrigerator, which can reduce its effectiveness by breaking down the phospholipids over time.